If you ask anyone who’s paralyzed what’s the number one thing that drives them crazy about their injury, most would say their bladder. The bladder is a muscle and when you become paralyzed, this too is affected. And it’s not easy to figure this out at first. However with practice, and trial and error, finding a happy place where you can manage your bladder and live a healthy life can be done. The level of your injury of course has a lot of sway over what kind of cath products, and the method you end up choosing. Below we’ve outlined the most important bladder tips to know for both quadriplegics and paraplegics. Feel free to add yours in the comments below. There are a lot of catheterization options for quadriplegics since their independence level can vary. For quadriplegics without arm movement, they will use an indwelling catheter – either a Foley catheter (inserted into the urethra and kept in place with an inflated saline-filled balloon) or a Super Pubic catheter (a surgically-created hole in the lower abdomen that goes to the bladder, specifically made for catheter placement), that is attached to a leg bag. Combined with an automatic leg bag opener, many high-level quads can be completely independent with their bladders by pairing these two things. Having an indwelling catheter however lends itself to longterm bladder issues, such as an increased occurrence of UTIs and it’s also been reported to cause bladder cancer after long-term use. The main thing to remember however is that no matter the kind of catheterization method you use, drink plenty of water (up to 8 cups a day). The more water you drink, the more you will flush out your bladder. When it comes to catheter options for quadriplegics with some arm movement, many opt to get a surgery that puts a hole into their bladder that can be accessed via their bellybutton. This is called the Mitroffanoff procedure and it allows quadriplegics to no longer use a leg bag and be free of indwelling catheters (for those who cannot undress and cath themselves the “normal” way). For paraplegics, male or female, most end up using a straight catheter to empty their bladder by inserting it directly into their urethra. This is an easy and no-fuss (no surgery required) option, and with minimal supplies needed. Straight cathing, even for a female paraplegic, can be done quite easily. Many women will transfer out of their wheelchairs and onto a toilet to do it in public, but many will opt to wait to do it at home. Male paras, and many lower level male quads, straight cath themselves directly in their chairs. – Flushing the bladder keeps it clear of sentiment and bad bacteria. Many will irrigate their bladder with saline on a daily basis to help completely flush it out. Saline (make sure to get a generous prescription) and a 60 cc syringe is all you’ll need to flush most catheters. – Healthy eating promotes good bladder health. – Get a Cytology test of your bladder each year to stay on top of bladder cancer (this tests the sediment? What bladder care tips do you swear by? – Spinal Cord Injury ~ Are Your Bladder And Bowels Paralyzed? This entry was posted in Feature stories and tagged bladder, catheterization, mitroffanoff, Spinal cord injury on September 29, 2017 by Tiffiny. The irony of a spinal cord injury is that many people suffer from chronic pain. There is widespread belief that people with spinal cord injuries don’t feel anything when it is in fact the opposite. Unfortunately, pain is the leading sensation many people with spinal cord injuries report other than numbness, and the reasons for the pain are varied. 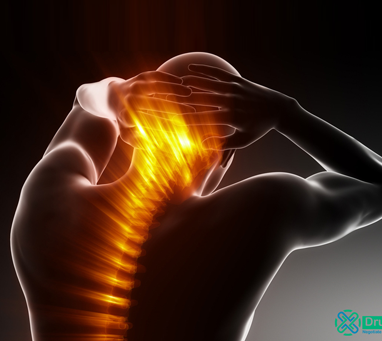 Often, the chronic pain is caused by the spinal cord injury itself. With a spinal cord injury, the brain/spinal cord connection can become confused when trying to interpret pain or other signals. And when it becomes confused, it will interpret any sensation as pain, which can be insufferable to live with. Various oral medications are used, with anti-depressants often the first line of treatment. If the pain is not alleviated, narcotics like codeine and some morphine can be used, but they are not often chosen as a treatment option because of their addictive nature. Anti-seizure medications have also been used with success, but anti-depressants more so. When you’re depressed, pain is usually heightened. Some of the anti-depressants used to treat neuropathic pain are serotonin norepinephrine reuptake inhibitors (SSNRIs) like venlafaxine (Effexor) and tricyclics, such as amitripltyline (Elavil). If no improvement is seen through medication options, a dorsal column stimulator can be implanted into the spinal canal to treat pain that is caused by root damage at the nerve. Other common drugs used to treat pain include non-steroidal anti-inflammatory drugs like aspirin and ibuprofen. Anti-muscle spasm medication is frequently used, too, such as Baclofen or Valium. In addition, therapeutic massage, acupuncture and physical therapy are used to alleviate pain. Another kind of pain many experience is musculoskeletal pain. This is typically caused by overuse or strain of the upper body following a spinal cord injury. From using one’s shoulders too muchfor pushing to using one’s wrists too much to type, this type of pain gets worse by ignoring it. Only rest allows it to get better. Activity modification is typically used to treat musculoskeletal pain. You should also look at the equipment you’re using, from your wheelchair to your seating, to see if anything can be changed or modified to make it work better for your body. You can also work on improving your transfer or wheelchair-pushing technique. Figuring out how to manage your pain after a spinal cord injury can be a long road, but don’t lose hope. Also, consider psychological treatments such as relaxation techniques or even psychotherapy to help. A lot of pain can stem from mental unrest. What kind of pain do you have and how do you treat it? – Spinal Cord Injury ~ Injury Level? Nerve Pain? Referred Pain? What? This entry was posted in Feature stories and tagged chronic pain, neuropathic pain, pain spinal cord injury on September 22, 2017 by Tiffiny.